Unfortunately we do not have enough data to give you an accurate valuation. Your local David Brown property expert will be in touch to arrange an accurate valuation taking into account improvements to your property, the local market and more. Or arrange a valuation now by clicking here. Whilst this instant valuation provides a guideline, your local David Brown property expert will be in touch to provide a more accurate valuation taking into account improvements to your property, the local market and more. ENJOYING LOVELY PARKLAND AND RIVER VIEWS an individual and most unique DETACHED HOUSE enjoying an idyllic and delightful panoramic views across parkland and open countryside towards the River Orwell in the distance in a quiet rural location in the small hamlet of Wherstead on the Southern outskirts of the county town of Ipswich. 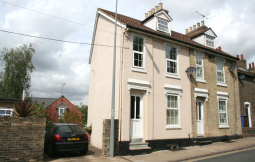 The property has recently been extended and renovated to a very high standard. An individual and most unique contemporary style DETACHED HOUSE enjoying an idyllic location with delightful panoramic views over parkland and open countryside towards the River Orwell in the distance. 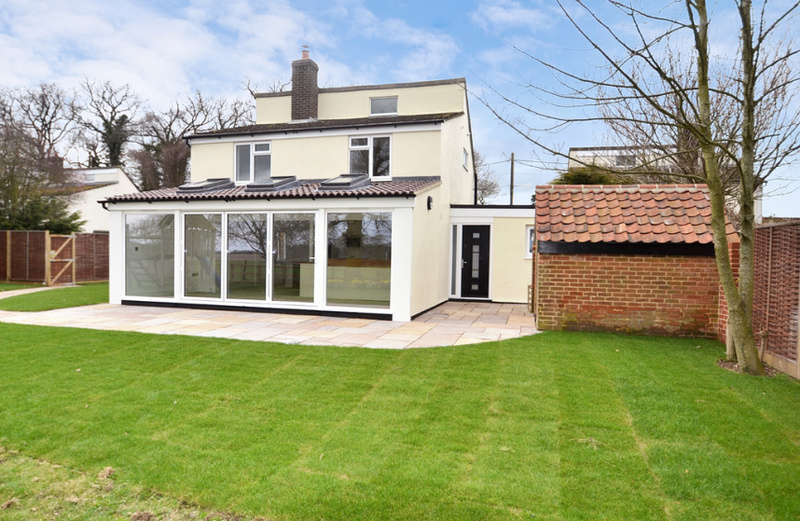 The property has recently been extended and renovated to a very high standard and offers excellent open plan ground floor accommodation with a new shaker style fully fitted kitchen and bi-fold doors opening out to the rear terrace and garden. 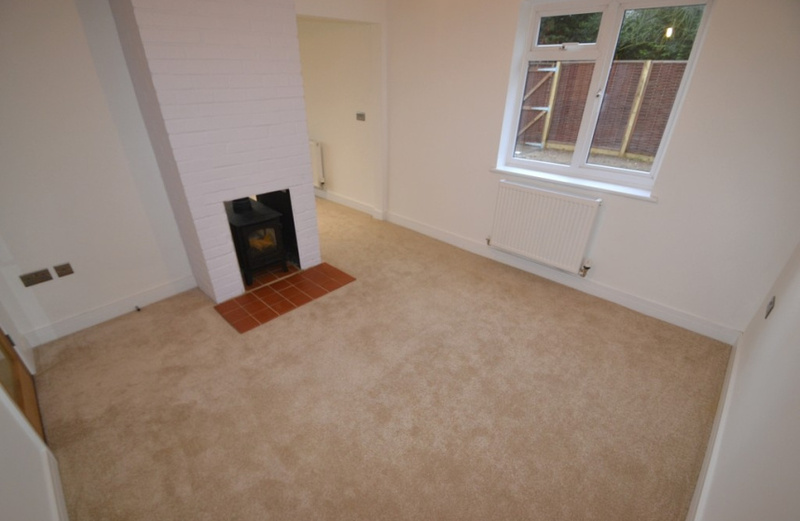 The house also has great scope to be further extended should the need arise. The property enjoys a quiet rural location in the small hamlet of Wherstead on the southern outskirts of the county town of Ipswich with easy access to the main A12/A14 with links to Felixstowe, the East Coast, the Midlands and London. It is also ideally situated for commuters with Ipswich mainline railway station with its regular inter city service to London's Liverpool Street Station (approx. 70 minutes) only 10 minutes by car. Alternatively, Manningtree Station is approx. 8 miles away. There are excellent leisure activities in the areas - sailing at Royal Harwich Yacht Club at nearby Woolverstone, Alton Water Sports Centre at Stutton and a wide choice of golf clubs and Ipswich's picturesque Waterfront and Marina. In addition, Suffolk Food Hall less than 10 minutes away sells local produce and has an excellent restaurant. Also, locally there is a wide choice of schooling in both the private and state sectors. 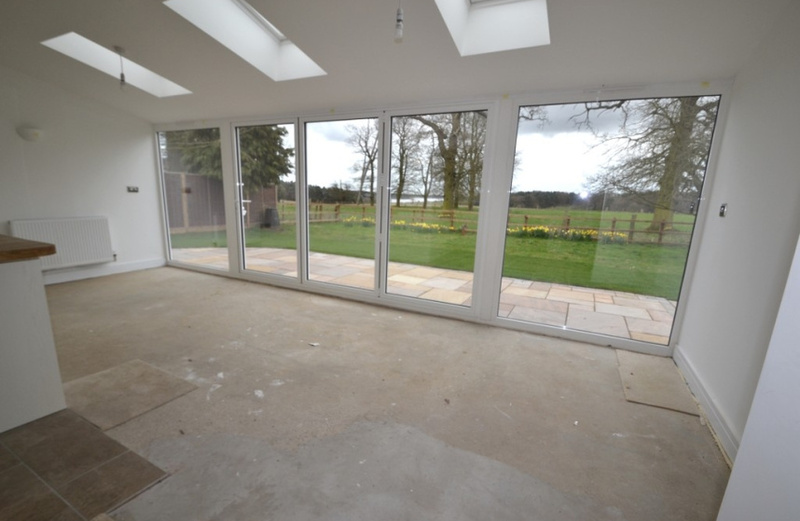 This imaginatively extended and renovated property on a good sized plot in a quiet rural location offers a superb opportunity for someone to enjoy a country retreat with the most stunning views with easy access to everyday amenities. 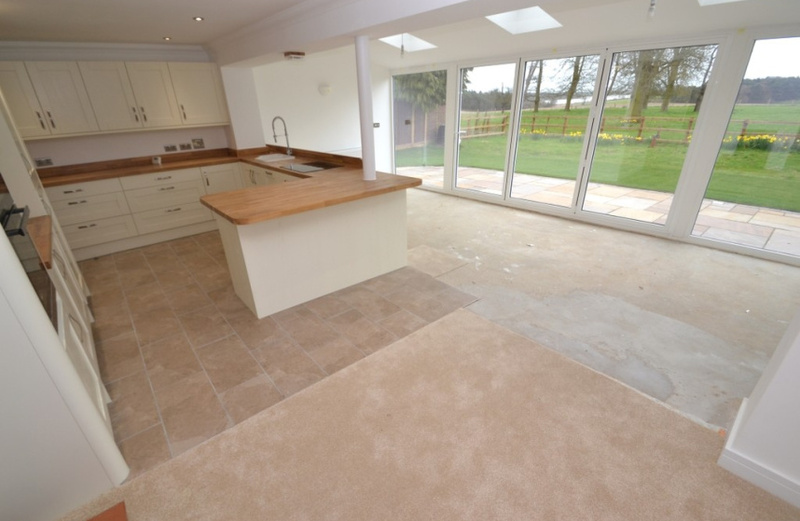 We strongly recommend an internal viewing to fully appreciate what the property has to offer. ENTRANCE HALL (L-shaped) with new fitted carpet. 2 radiators. Consumer unit and meter cupboard. Telephone point. Additional door (matching the front door) leads to the rear garden. Stairs off to First Floor with recess area under. 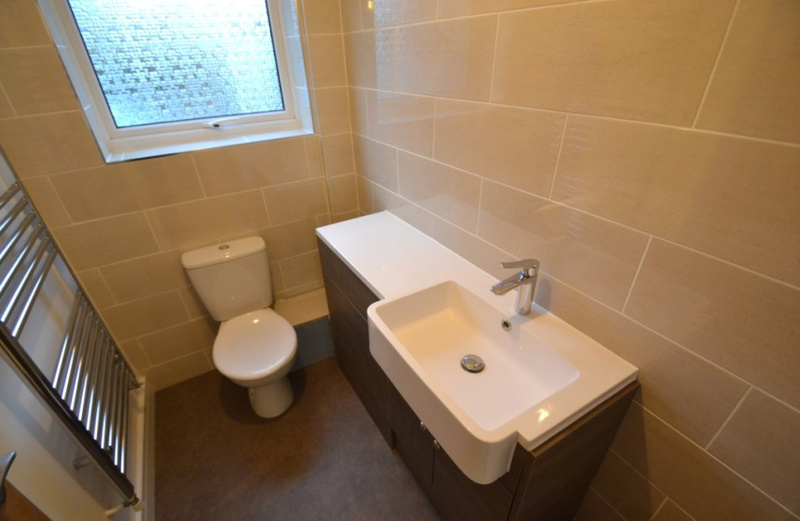 CLOAKROOM (NW) Modern white suite of vanity wash basin (h & c mixer tap) with cupboards under and low level WC both with fully tiled surrounds. Extractor fan. Vinyl flooring. Chromium heated towel radiator. UPVC double glazed window to the front. STUDY 7' 7" x 6' 8" (2.31m x 2.03m) (NW & SE)Double radiator. New fitted carpet. 3 twin power points and telephone point. UPVC double glazed double aspect windows to the front and rear. OPEN PLAN SITTING/DINING ROOM/KITCHEN 21' 11" x 19' 8" (6.68m x 5.99m) (SE) is a feature of the property enjoying the most delightful views across open parkland and woodland to the River Orwell beyond. DINING AREA 10' 10" x 10' 8" (3.3m x 3.25m) New fitted carpet. Double radiator. Feature 2 way multi fuel burner with quarry tiled hearth and painted brick surround. 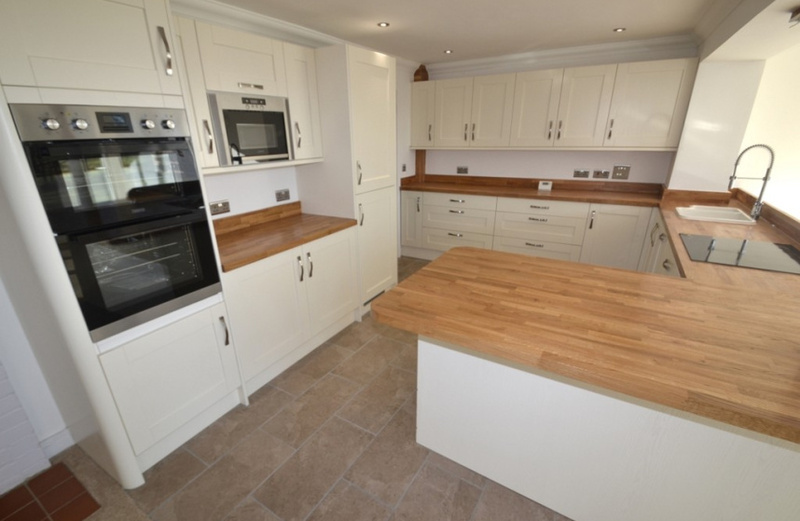 KITCHEN 10' 8" x 10' 8" (3.25m x 3.25m) Comprehensively fitted out in cream shaker style units comprising base cupboards and drawers with solid wood worksurfaces and matching upstands. Matching eye level wall cupboards. 1.1/2 bowl inset ceramic sink (h & c mixer extendable rinse tap) Integrated "Hotpoint" appliances comprising fridge and freezer, slimline automatic dishwasher and automatic washing machine. "Lamona" built-in stainless steel microwave and "Zanussi" double oven and 4 ring induction hob unit with extractor above. Ample power points and electric cooker point. Ceramic tiled floor. Recessed LED lighting. Glazed door to Hall. 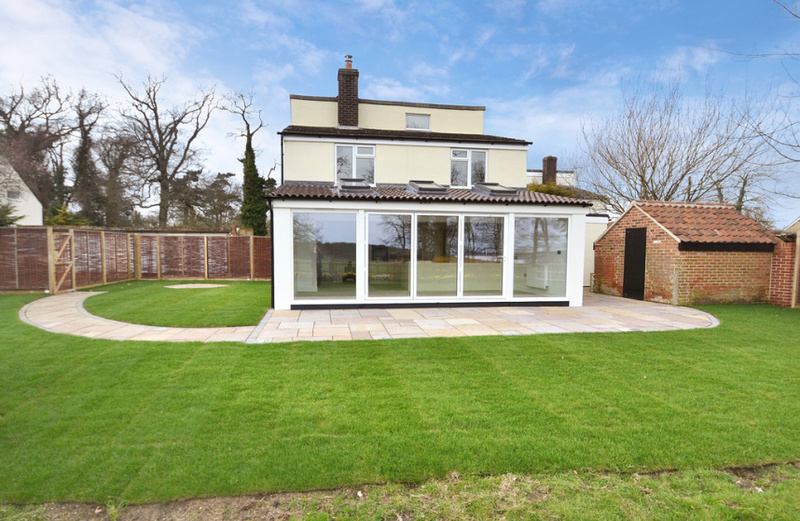 SITTING ROOM 21' 11" x 8' 11" (6.68m x 2.72m) UPVC double glazed bi-fold doors with large matching full height fixed windows opening to the rear terrace and offering superb views over the garden and open parkland/woodland to the River Orwell beyond. Double radiator. 3 double glazed skylights. 2 uplighters. 2 TV points. 3 twin power points. LANDING with new fitted carpet. Smoke detector. 4 uplighters. UPVC double glazed window to the rear. BEDROOM 1 14' 2" x 10' 8" (4.32m x 3.25m) (SE) UPVC double glazed window which again affords splendid views over the surrounding countryside and the River Orwell in the distance. Double radiator. 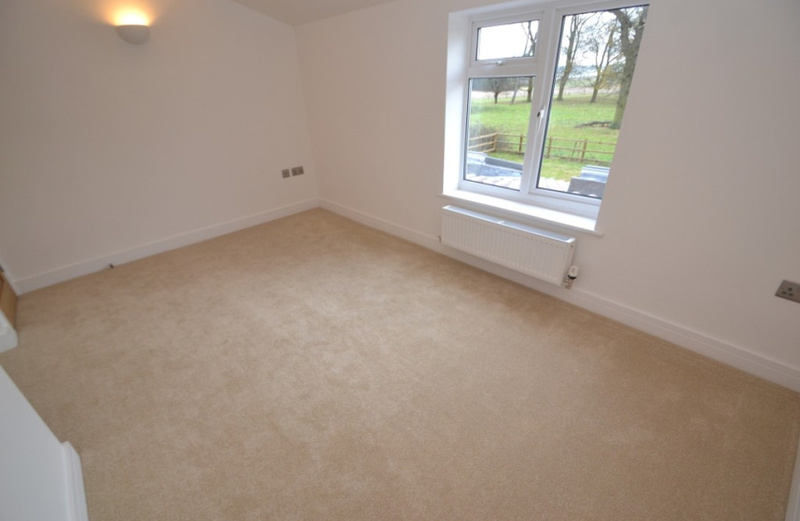 New fitted carpet. 3 uplighters. 4 twin power points and 2 TV points. BEDROOM 2 11' 7" x 11' 2" (3.53m x 3.4m) (SW) UPVC double glazed window to the side. Double glazed. Recessed lighting. 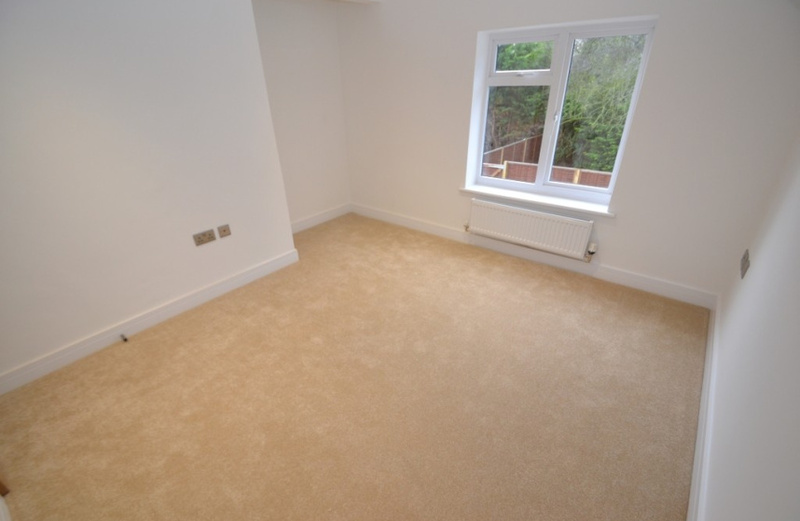 New fitted carpet. BEDROOM 3 8' 9" x 7' 3" (2.67m x 2.21m) (SE) UPVC double glazed window to the rear affording delightful views over the surrounding countryside towards the River Orwell. New fitted carpet. Double radiator. 3 twin power points. TV point. Telephone point. 2 uplighters. 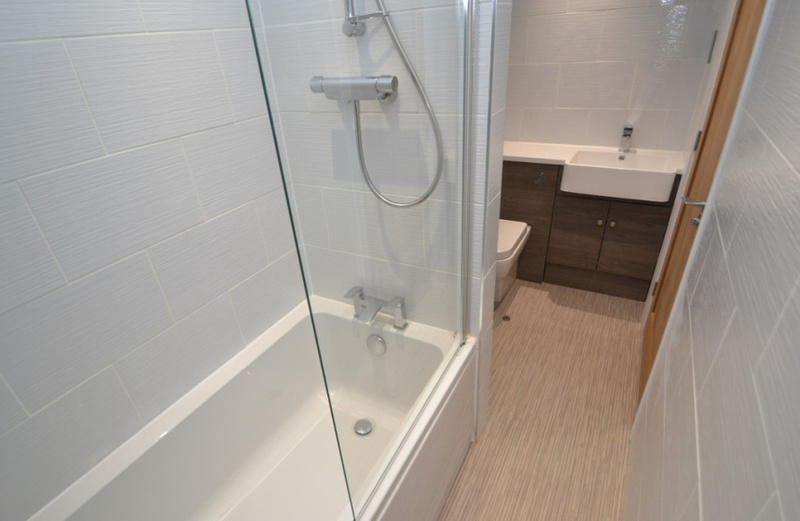 BATHROOM (NE) New white contemporary suite comprising panelled bath (h & c mixer tap) with thermostatic fitted shower and glazed shower screen over, vanity wash basin (h & c mixer tap) with cupboards under and low level WC. Vinyl flooring. Fully tiled walls. Shaver point. Access to loft. Extractor fan. LED recessed lighting. Chromium heated towel radiator. UPVC double glazed window to the side. OUTSIDE The property is approached off Vicarage Lane and there is a designated OFF ROAD PARKING SPACE adjacent to the lane, set behind a live hedge. The pebbled entrance drive with a shrub bed and trellising for climbing plants on the front elevation of the property leads to a single GARAGE with electric light and metal up and over door (the middle of a block of 3) and to a newly brick paved PARKING AREA affording parking for 2 VEHICLES with an attractive woven rustic fence surround. A brick paved path leads to the front door and a gate from the parking area opens to a paved path with inset lighting on either side which leads to the rear garden and back door. 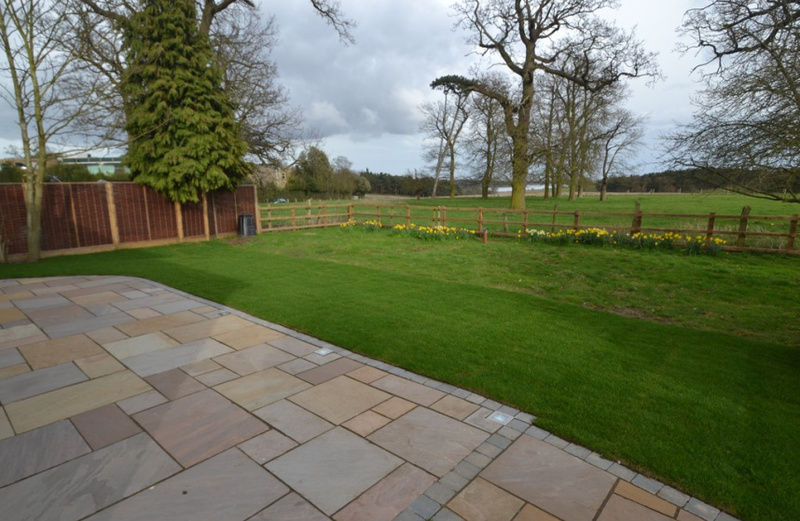 The main garden lies to the side and rear of the property and enjoys a predominantly southern aspect. It is laid mainly to lawn with 3 fruit trees and is bordered by a post and rail fence. 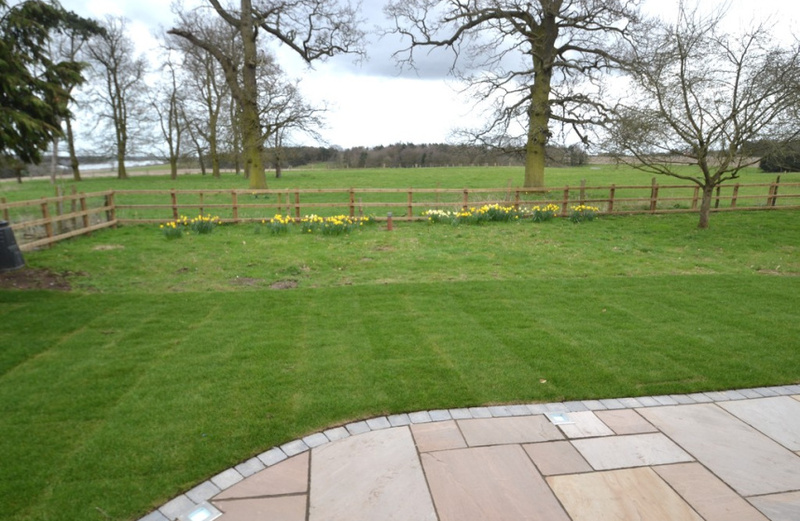 There is also an attractive feature circular paved PATIO at the side of the house. The plot extends to approximately 0.18 ACRES and enjoys the most lovely views over parkland and woodland towards the River Orwell in the distance. Courtesy lighting. There is a very useful brick and pantiled GARDEN STORE. 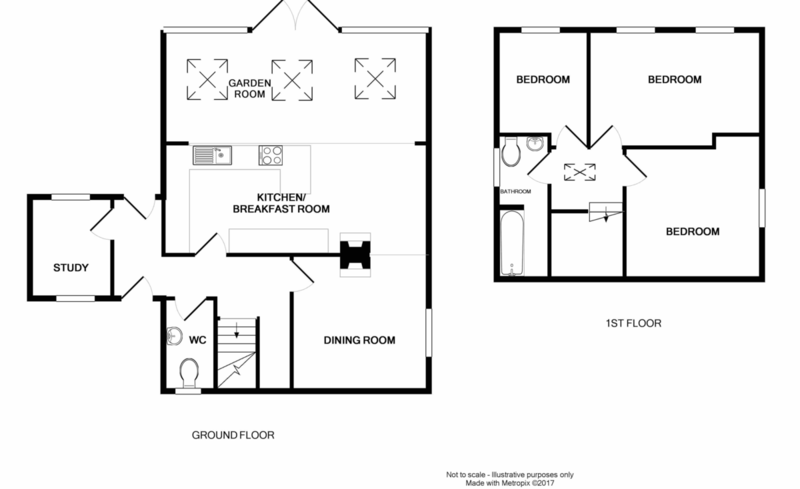 NOTE The property is sold with an "overage clause" whereby of Planning Permission or Permitted Development is granted/gained for any other independent dwellings/holiday lets within the grounds before May 2037 the original owners of the property will receive 30% of the uplift in value. 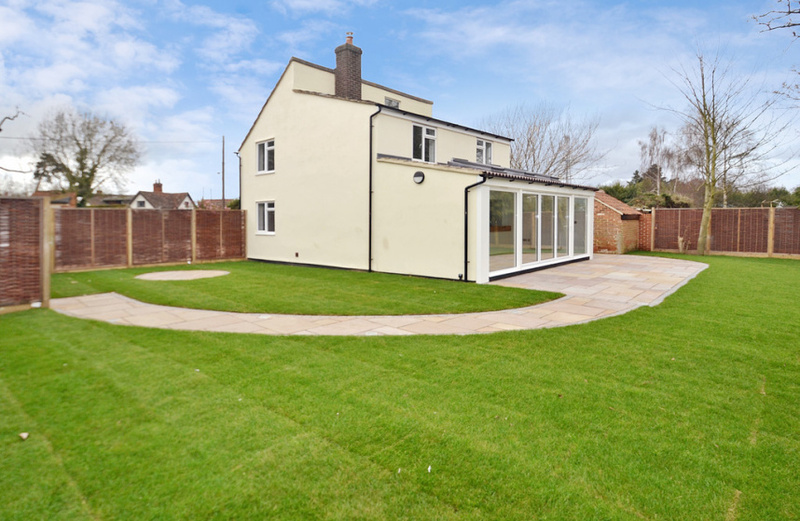 For the avoidance of doubt, the overage will not be triggered by the building of any extensions, annexes or outbuildings associated with the current dwelling. SERVICES Mains, water and electricity. Drainage is to a septic tank.